After years of being separated, Albert’s mother arranged for smugglers to bring him to the United States, but was arrested by immigration officers as he crossed the border. He was detained for nearly a month before being released to his mother and her American husband in Los Angeles. Albert had difficulty adjusting to his new life. His mother and stepfather had a new baby and Albert felt like he didn’t belong. Language barriers made school challenging, so Albert stopped attending and was soon recruited by a gang. He had only been in the country seven months before he committed a minor crime, which led to his arrest and confinement in juvenile hall. Albert was arraigned and placed into a residential therapeutic program. His mother distanced herself and at 12 years old, Albert felt his life was over. Because Albert’s mother did not want him back and had no other family, the judge allowed him to stay in his residential program through the Department of Child and Family Services. 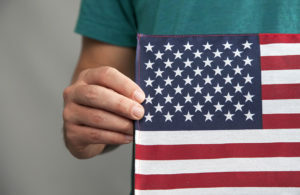 His support team helped him to acquire the knowledge, skills and tools needed to prepare him to achieve his lifelong dream of becoming an American citizen. When he was ready, team support workers and the volunteer assistance of a paralegal, helped Albert navigate the process, complete the necessary paperwork and even accompanied him to court hearings in an effort to make his dream become a reality. Because approximately 50% of foster youth experience some length of homelessness as adults, and knowing that Albert could not return to his family, his treatment team worked tirelessly to find a resource family to care for him. He met with one potential foster mother, who was retired from the juvenile justice system, and the two immediately connected. Because of her previous occupation, her experience fostering other children and being the child of immigrants herself, she understood the challenges Albert had to endure. Following their meeting, Albert couldn’t stop talking about her; how nice she was; how much they had in common and how he couldn’t believe she had carpeting all throughout her home! Albert was placed with his new resource family and is excelling in high school and making friends. He discovered a love of football, joined the team and won a certificate for “Best Freshmen Defensive Player.” Even though Albert spoke very little English when he came to America, English is now his favorite subject. After high school, he plans to attend college and eventually play pro football. Only two years after feeling his life was over, Albert is facing a bright future. People around him describe him as a “pleasant” and “focused” young man who always has a smile on his face and loves to make people laugh. Albert is constantly expressing his gratitude for his “new mom,” and the support of the people who helped him make a life in America. Although his life in the United States is very different than the one he had dreamed of for so long, he still believes dreams do come true – with hard work, opportunity and the support of caring individuals. If you have room in your heart and your home to care for a child like Albert, please contact Trinity Youth Services at (888) 346-9645 or email info@trinityys.org to become a foster or adoptive parent. Or donate to the Children’s Foundation of America to support children like Albert in creating a better future. The Children’s Foundation of America provides school supplies, new shoes, sports equipment, clothing, college scholarships, housing expenses and more for abused, neglected and abandoned children. Please support our mission by becoming a monthly donor. Just a few dollars a month helps bring a sense of normalcy to a trauma-affected child. Please, Donate Now. Names and details have been omitted or altered to protect the identity of the child. This year’s “Warm & Fuzzy February” campaign was a major success and supported 262 foster youth! 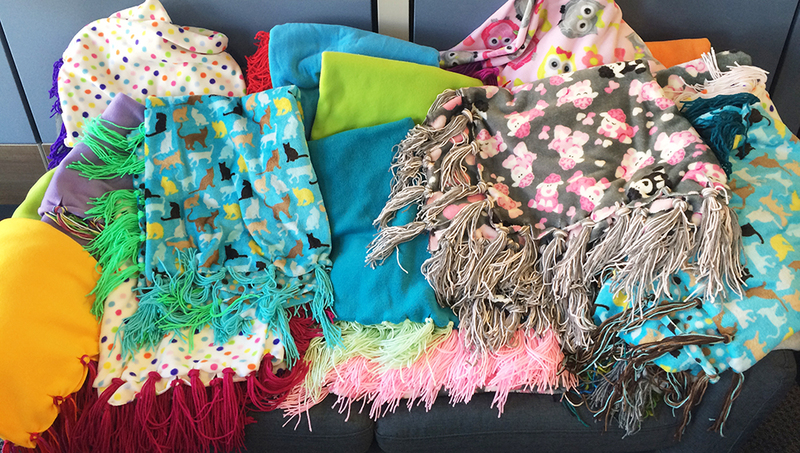 Throughout the past year, dozens of individuals gathered to create hand-made blankets in preparation for our annual distribution of care packages stuffed with goodies to bring a sense of warmth to the children we support. 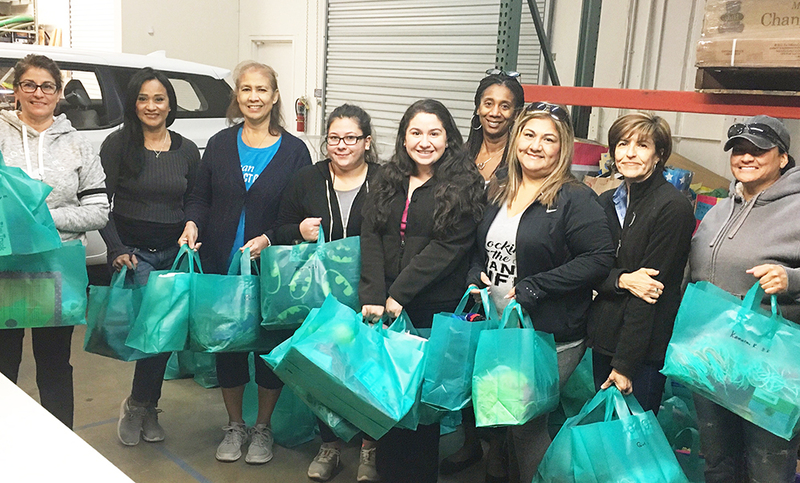 Through the combined efforts of our volunteers and donors, the Foundation was able to provide 168 bags to children in foster care in Los Angeles and San Bernardino counties including a new partnership with Duarte Unified School District. For older youth, we sent Regal Movie Theater gift cards to 94 teens currently in a residential therapeutic program. 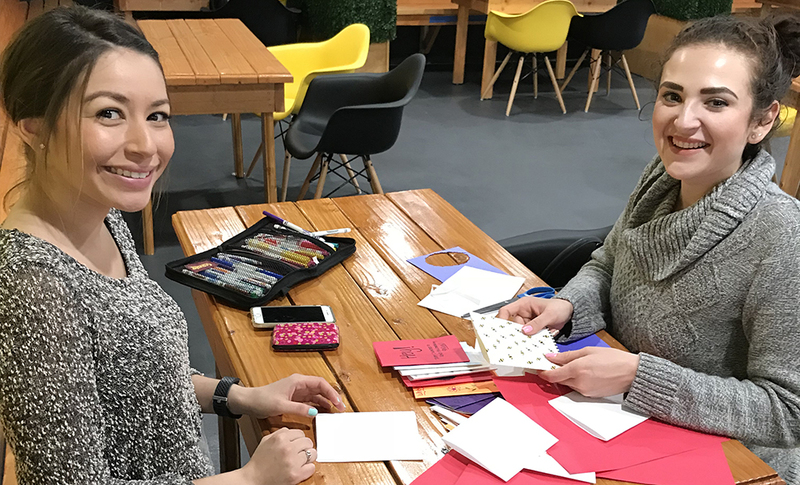 In preparation for “Warm & Fuzzy February,” we sought the help of our dedicated community partners and put on several volunteering events to ensure we met our goal of supporting over 200 children in foster care. With the assistance of 87 volunteers putting in 250 hours of work, the Foundation was able to create hand-made cards for kids and fringe blankets for children ages 0-18. Aside from the huge effort of our volunteers, the Foundation was also able to get the help of several community partners. It was a community effort making and collecting the items needed for our “Warm & Fuzzy February” care packages. Several different organizations including Foothill Country Day School, Upland HS Health Corps, students of the Occupational Therapy program at Loma Linda University, Claremont Farmers Insurance, Inland Empire United Way staff and UCR Circle K International participated by creating hand-made cards filled with messages of warmth and hope. CSUF Alpha Phi Omega and Harvey Mudd’s “Mudders Making a Difference” (MMAD) donated hand-made blankets. And we received a surprise gift of dozens of scarves and beanies from volunteer Kathy Warth, who in her spare time, crochets from left over yarn. The success of this campaign also involved conducting volunteer events in the community. We partnered with Sunrise Senior Living in Claremont, CA who donated the materials for the seniors to make hand-made fringe blankets during their recreation time and visited a team of 15 staff volunteers at Fairplex in Pomona, CA. A “Warm & Fuzzy” care package wouldn’t be complete without a good book to curl up with. Supporters participated by contributing books to include in the packages. 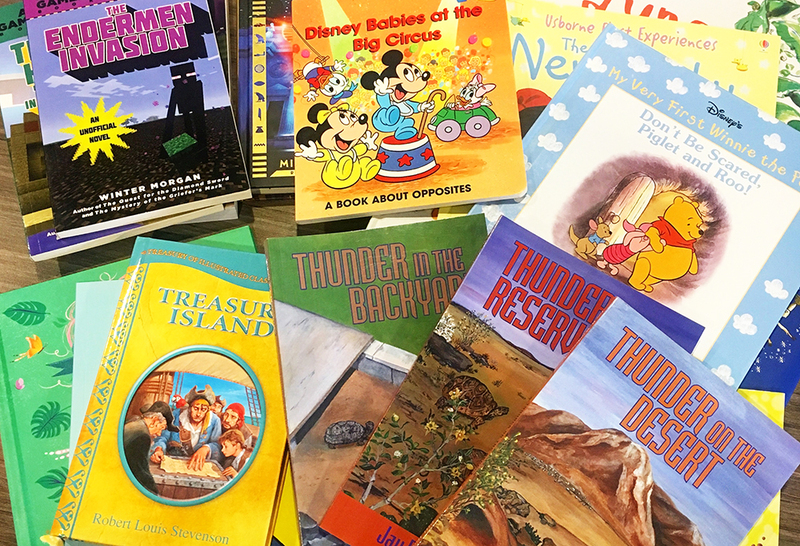 Brisa Sifuentes of the Claremont Little Free Library and 12-year-old book blogger, Zayda (AKA @babybibilophile), each used their Instagram following to contribute dozens of brand new books to our book drive portion of the campaign. If you would like to help us continue this important work to help children affected by abuse, neglect and abandonment, please donate what you can. Every bit makes a difference! Encouraging words can have a strong impact in a child’s life. Parents who encourage their children by using positive reinforcement are building their identity each day. Children are identifying their strengths with the help of meaningful words of honesty and descriptive details about their actions. Giving sincere words to your child can encourage certain behavior. Children are able to reflect and think about their own behavior when given praise and honesty. Do: You came up with such good answers for that first question. Don’t: You did very good! Do: I like the way you came up with that idea on your own. When you see positive actions coming from you child, point out a specific detail of their performance and describe what behavior led to good results; by using detailed words your child is able to recognize that you are paying attention and will keep them motivated to impress you. Do: I like the way you are using different colors for your drawing. Do: That was kind of you to share your cookie. Using encouraging words and recognizing your child’s efforts rather than their achievements supports their development and most importantly their self-esteem. Children will continue to gain passion and motivation with your support and encouragement. 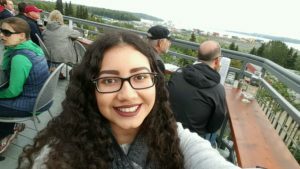 Crystal is interning with the Children’s Foundation of America this spring as she completes her bachelor’s degree in sociology at Cal State San Bernardino. She has earned an associate’s degree in child development at Chaffey College and plans to continue her education with a mater’s degree in social work. 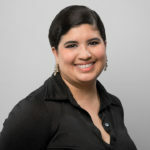 Crystal’s career goals are to advocate for children, support families in need of assistance and to help children cope with problems in everyday life. Crystal’s work experience includes care of children toddler to 5 years of age and has worked for three years with children and adults with disabilities. In Crystal’s free time, she enjoys going to art galleries, sewing, gardening and painting. Exploring nature is a great way to get outside and create bonding experiences with friends and family. In this blog, we will learn to experience nature by utilizing the senses to create art. For this activity, we will use our sense of touch and sight. Materials needed are paint, paint brushes and rocks. This activity can take place from a picnic table to the floor. We suggest using newspaper underneath to catch paint spills. Once you have found several rocks to paint on, lay them out on your work space. Use the paint brushes and paint to begin painting. 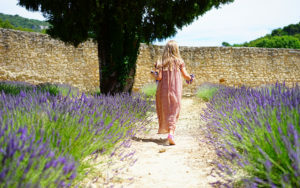 This activity involves using the sense of sight, smell and sound to observe the world around us. Materials need to fill your backpack are craft paper, markers, crayons and other items that you might need to be capture nature. Find a comfortable spot to sit at the park and start drawing what comes to your attention. What are the things that inspire you from the nature around you? After the drawing is done, discuss why the scene was picked. In this final activity, we will use the sense of touch to experience textures and sight to explore color. Materials needed for this project are paint, paint brushes, white paper and leaves. Go to your backyard or the park and find leaves that you think are unique. Choose the leaf you will paint with the color of your choice. You can even be more creative in mixing the colors together. Once you have painted the leaf, press the painted side onto the white paper. You will notice a better visual of how the leaf is formed. 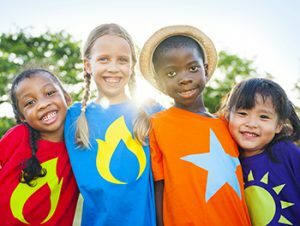 The Children’s Foundation of America strives to provide an opportunity for every person to help children heal, learn and thrive. That is why we were so excited to hear from Michelle Panos, who learned about Birthday in a Bag, and made it a reality for foster youth. Michelle got the idea after visiting the Family-To-Family website, a nonprofit focused on hunger and poverty relief for families. 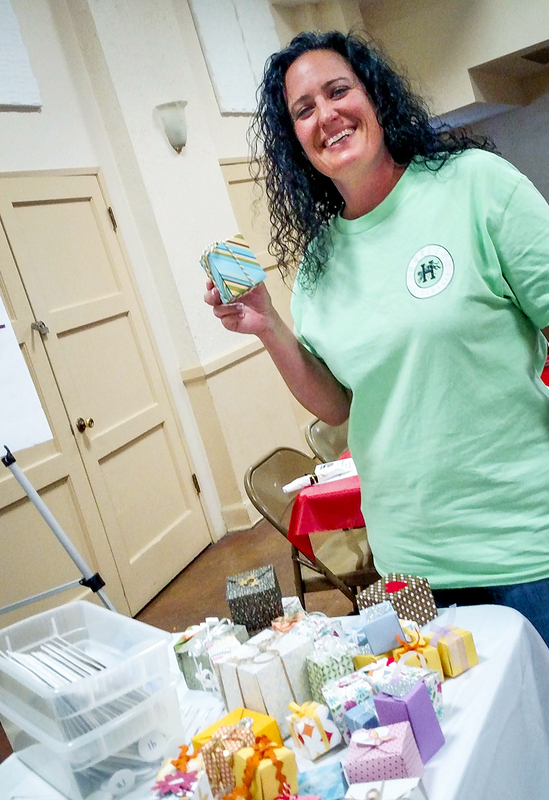 She decided to take on the project in her own way to support children in foster care. Being a school teacher, she sees the impact of coming from a lower income situation can make. Because of this, she was looking for an organization to get involved with that supports children in need. 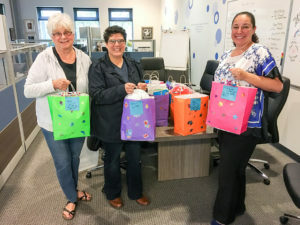 The Birthday in a Bag donation will be given to resource parents at Michelle’s local foster care office: Trinity Youth Services, Rancho Cucamonga. The donation comes at the perfect time when we are showing our appreciation for local foster parents during National Foster Care Month. Every little thing helps a resource family do everything possible to help a child cope from trauma experienced before entering foster care. We celebrate foster parents for opening their heart and their home to care for a child in need and we are so grateful for people like Michelle who want to help make a foster parent’s role a little easier. Each bag includes birthday party supplies such as a poster, streamers, balloons, candles, cake mix, frosting, a present and a book! Michelle is an elementary school teacher and we are so glad she included a book for each child to read. There are many ways to help children in need! Some donate time by volunteering, some donate funds for scholarships or yearbooks and some have the desire to find a unique way that suits them best. All these efforts help make a difference in the lives of children who need to be shown a little compassion. Have an idea like Michelle to help children in need? We’d love to talk to you! Call 1-800-KIDS-730 or email donations@trinityys.org. Carrie oversees the day-to-day operations and staffing of the Foundation. 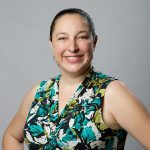 Among her many tasks, she is responsible for seeking out and applying to grants for the Foundation as well as overseeing fundraising events and donations. Above all, Carrie’s focus is to identify and access resources in order to help children heal, learn and thrive. 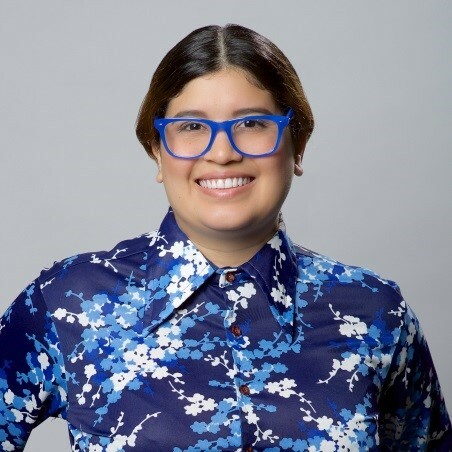 She earned a bachelor’s degree in business from the University of San Diego in 2001 and a master’s degree in public administration at Cal Poly Pomona in 2005. Carrie enjoys spending much of her time with her family and, when given the opportunity, jumps at the chance to travel the world with her mother and daughter. The Children’s Foundation of America will be supporting Trinity Youth Services at a speakers series hosted by Claremont Craft Ales. 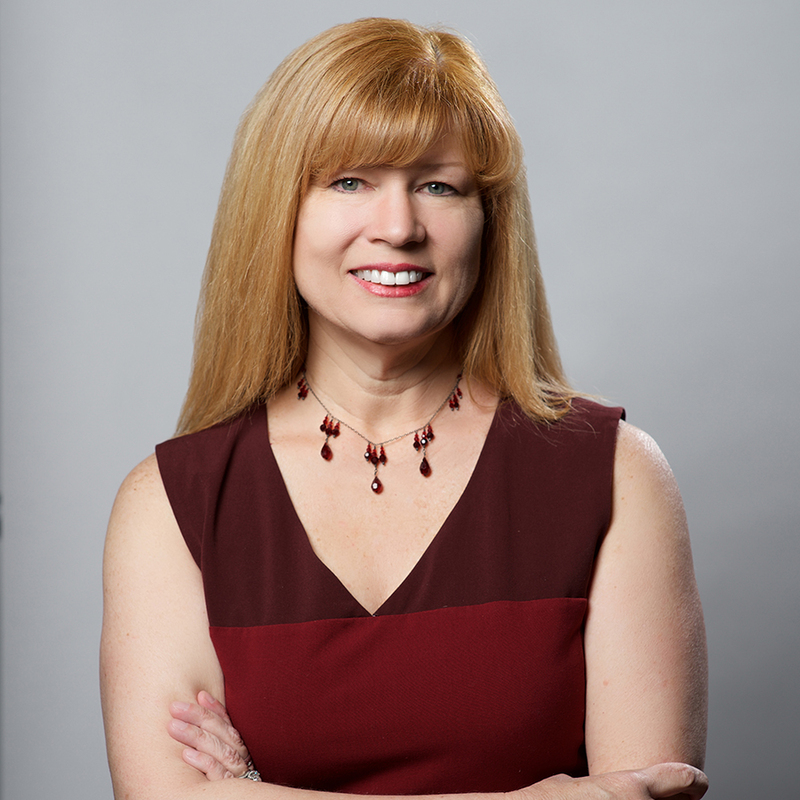 Trinity Chief Administrative Officer, Cher Ofstedahl, will talk about foster care on Wednesday, March 22 at 6:30 p.m.
Cher leads Trinity Youth Services’ business operations teams, which include human resources, payroll, accounting and development. We call our business offices “Mission Support,” because everything we do supports the programs and people that provide direct services to the children and youth in Trinity’s care. 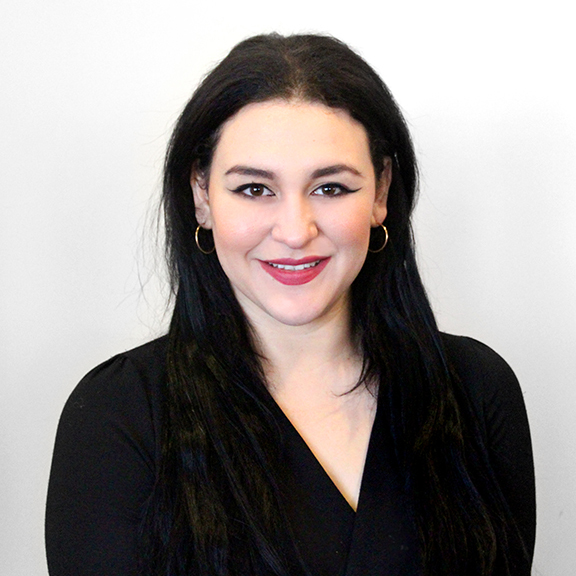 Cher has been with Trinity Youth Services for nearly two decades and prior to that, she worked in the music industry and as a professional actress. Among her many academic degrees and certificates, Cher holds a BA in organizational management from Ashford University and post-graduate certifications from Cornell University and Harvard Graduate School of Education. She is scheduled to complete her master’s degree in ethical leadership from Claremont Lincoln University in 2017. Cher is also a member of the first graduating cohort in a National Human Services Assembly (NHSA) nonprofit executive leadership program; a collaboration with Arizona State University, Indiana University and the Lilly School of Philanthropy. Cher has served on a variety of nonprofit boards and currently serves on the board of directors at the dA Center for the Arts, is on the membership committee for the California Alliance for Children and Families, and is chair of the Inland Empire Alliance for Children and Families. In her spare time, Cher performs stand-up comedy professionally. This month’s volunteer spotlight is Joanne Sanchez of Chino, CA. We assigned her to serve as volunteer administrative assistant at Trinity Youth Services’ Rancho Cucamonga office. My favorite pastimes are creating art, working out and spending time with my three dogs. I currently attend Irvine Valley College where I will be receiving my AA in Economics, but I will also be transferring this year to Cal Poly Pomona. What activities do you participate in at Trinity Youth Services? I assist the social workers with improving organization, helping them locate information and assisting them with filing to ensure everything is up to date. What inspired you to volunteer at Trinity Youth Services? I was inspired by the work the employees do to give back to the community and ensure the safety of the children. What do you find most rewarding about volunteering? I find the knowledge of how I am making a difference very rewarding and encouraging. What’s your favorite memory from volunteering at Trinity Youth Services? My favorite memories are the individual looks of appreciation I receive from those I help all around the office. Why would you encourage others to volunteer? I would encourage others to volunteer if they are looking for an activity or opportunity to be of service to those who both may need and deserve it. This is a rewarding way to also gain experience for different career fields. Is there anything else you would like to share with your fellow volunteers? Even though you’re a volunteer, give it the best you’ve got and treat it like any other job opportunity. The hardworking employees will thank you. Thanks to Joanne for volunteering to Be the Difference. If you would like to volunteer at the Children’s Foundation of America, call 1-800-KIDS-730 or email volunteer@trinityys.org. Aaron’s role is keeping the day-to-day functions of the Foundation office running efficiently by answering phone calls and emails, taking in and recording donations, coordinating volunteer activities and assisting with outreach and events. Aaron is a musician and an art enthusiast. 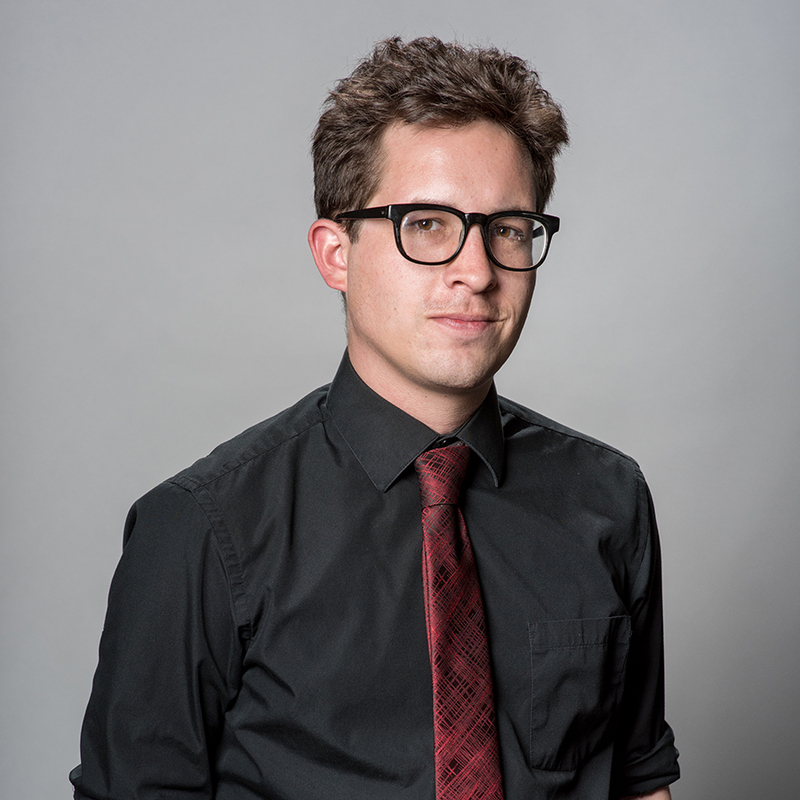 On weekends, Aaron instructs music at the Claremont Community School of Music and assists at the nonprofit’s office. At the end of each year, the Children’s Foundation of America focuses on making children’s holiday wishes come true through our annual Holiday Heroes campaign. The initiative features a toy drive, gift wrapping fundraiser and the involvement of several volunteers and partners. The Children’s Foundation of America’s Holiday Heroes gift drive was a resounding success. The Foundation was able to fulfill the wishes of nearly 400 children in Trinity Youth Services foster care and residential treatment programs. Children submitted three wishes and the Foundation was able to grant them all. For younger children, the wishes were mainly toys and games and the older children requested gift cards for retailers, entertainment and restaurants. The Foundation is proud to support the children of Trinity, all of whom have been removed from their homes due to abuse, neglect or other traumatic circumstance. The Foundation was also able to provide toys and other items to the Benjamin E. Jones Community Resource Center for their “Sweet Little Angels” gift giveaway program, benefiting children of families living in poverty. 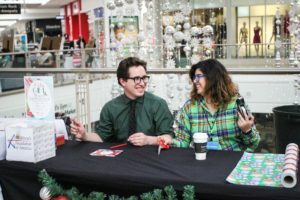 The Gift Wrapping booth at the Plaza West Covina mall, which was staffed by volunteers who contributed 501 hours of time, brought in nearly $9,000. 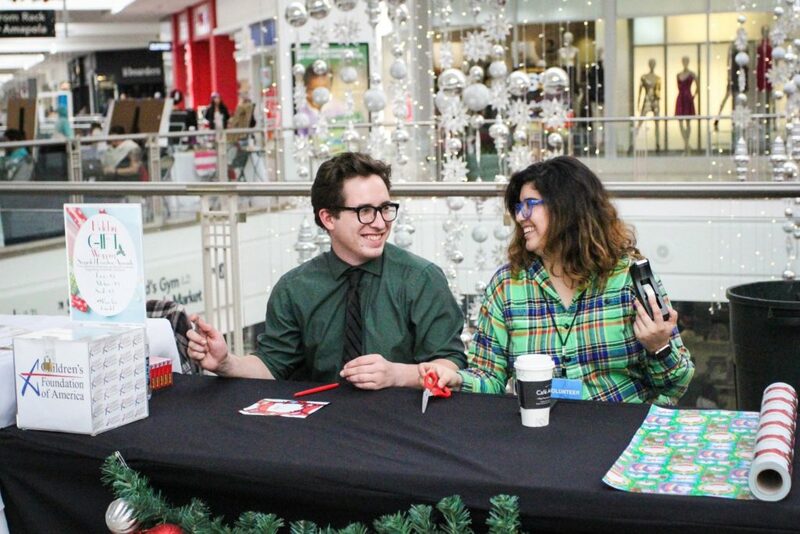 “Giving Tree” wishes, granted by shoppers, brought in gifts for children totaling $1,544. Our sincerest thanks to Laura Gonzales and the management of the Plaza West Covina for their support. Fenceworks of Riverside contributed an overwhelmingly generous supply of gift cards for teens and toys, bikes, helmets and jackets for children of all ages. Holiday Heroes Toy Box Sponsors included West Coast Dermatology Billers, Toshiba, Advantage Resourcing, Mijac Alarm, JCM Engineering, Lewis Brisbois Bisgaard & Smith LLP, and Wells Fargo Home Mortgage. 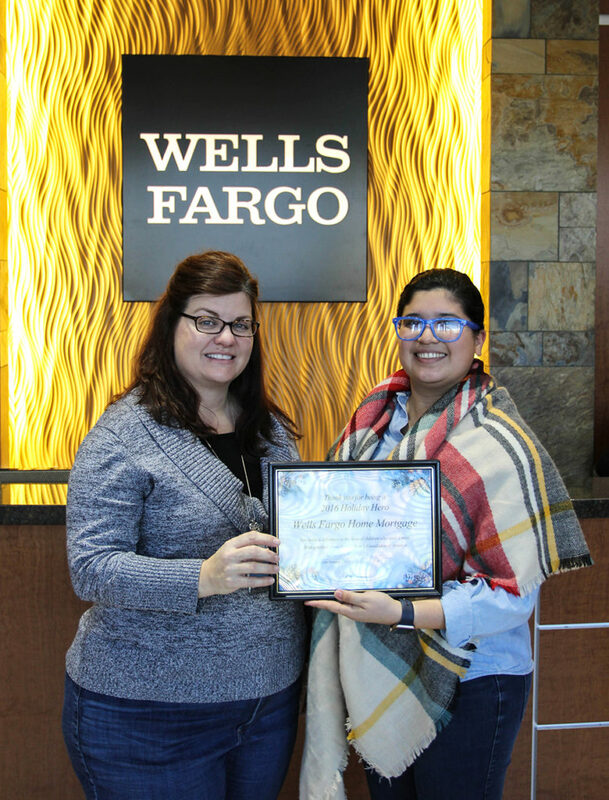 Special thanks to Foundation Trustee, Carla Kingsbury, for encouraging Wells Fargo to increase their level of giving every year for the past five years. Image Source USA raised the bar on both a personal and corporate level. 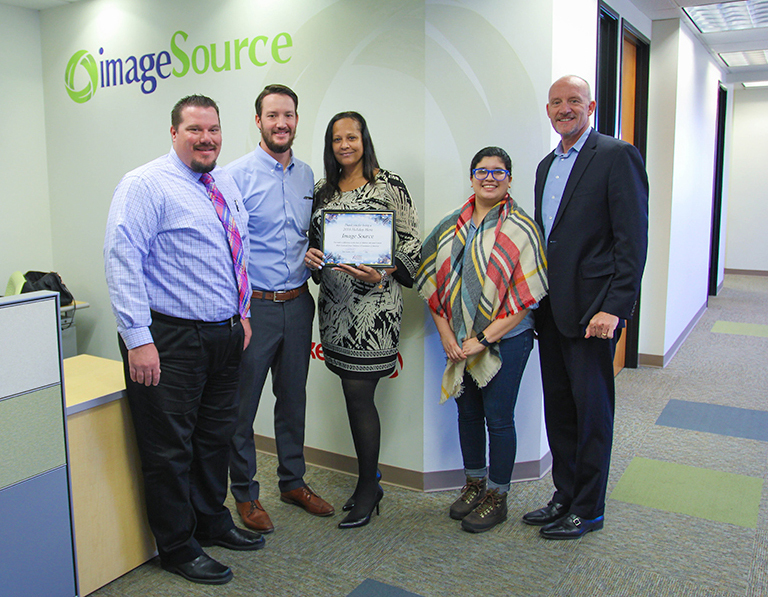 Trustee Judith Jarvis, Vice President of Sales for Image Source, personally made a significant contribution, then challenged Image Source President, Brad Craft, to match her gift. She then gathered an additional donation from her sales team with their Branch Manager, Jordan Craft, leading the way. The total gift from the company totaled more than $7,000 and was used to fulfill individual children’s wishes and larger shared gifts such as sports equipment and new library books for youth living in residential placement settings. Girl Scout Troop #1455 donated toiletries for teen girls and the Saddleback Kiwanis Club donated Therapy Dolls. 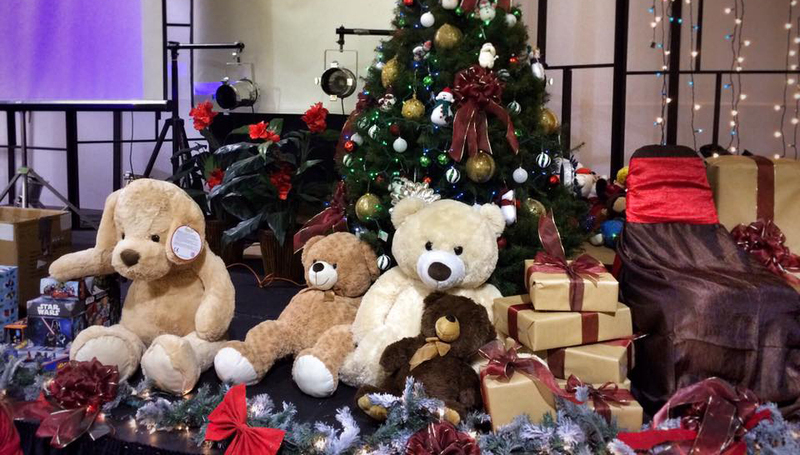 The Today Show Charitable Foundation donated stuffed animals. These are just a few of the examples of generosity from some of the Foundation’s treasured partners. “Giving Trees” were sponsored by the Claremont Chamber of Commerce and Tapestry Church Claremont. Heirloom Claremont hosted a “Make ‘N Take” ornament fundraiser and The Colony at Loft 204 gallery collected donations by selling Christmas cards designed by foster children. Several guests to the Claremont events Giving Tuesday and Holiday Promenade collected wishes from the Foundation’s “Giving Tree” and dropped off toys to the office throughout November and December. The Board of Trustees and staff of the Children’s Foundation of America want to thank all of the donors and volunteers for making this year such a tremendous success. You have truly put the “Merry” in “Merry Christmas” for children who need it most. You are all truly Holiday Heroes!